Chargers +2 1/2 over the DOLPHINS– We haven’t won with the Fish all season so either we’re due or we will continue the losing streak. It’s just hard not to go with a quarterback who has thrown 20 touchdown passes against just five interceptions in what has been a career-like year for Rivers. Anticipate a close game, as the line suggests, but San Diego, who is a little banged up, still looks like they’ll be 6-3 when it’s all over. BROWNS -6 1/2 over the Buccaneers- We continue to be in shock over the Browns loss at the then winless Jaguars, but cannot see them losing at home to the less talented 1-6 Bucs. The Browns are capable of putting together much better performances as they did when they torched the Steelers by three touchdowns. 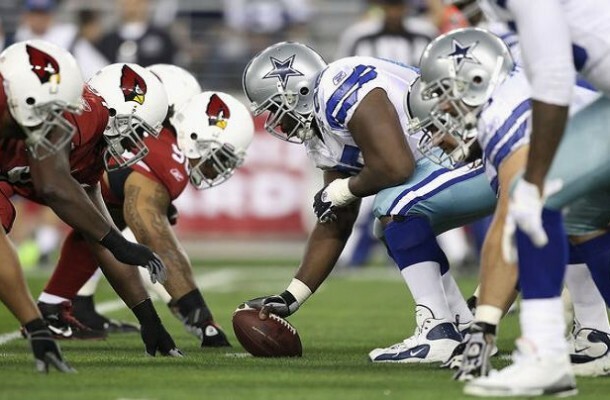 Cardinals +4 over the COWBOYS- Our second underdog this week pits the 6-1 Cardinals against a Cowboy team who loss to the aforementioned visiting Redskins led by a rusty Colt McCoy (who showed no worse for wear). Tony Romo is far from being healthy for this contest with his back ailing after he injured it in the game against Washington. As this goes to post (Saturday afternoon) Romo is still a game time decision. Although he’s a fighter, should he decide to play Romo will be pounded and pressured by the Cardinal’s defensive line all afternoon. Colts-3 1/2 over the GIANTS- Indeed the Colts got whacked by 17 points by the Steelers in Week 8 and gave up a ton of yards in the process, however the Colts have been a staunch defensive team all season long and is entitled to a let down. We just cannot see them having two letdowns in back-to-back weeks especially to a 3-4 team who averages 120 less yards per game on offense and not on the national stage of MNF. The G-Men, led by an improving Eli Manning, will still be without Rashad Jennings leaving them with a so-far unsuccessful rookie in Andre Williams in the backfield. 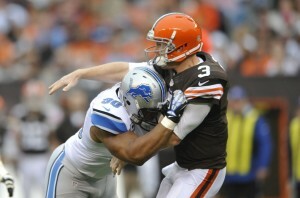 Why does Ndamukong Suh always have a “Fine” time on Thanksgiving? 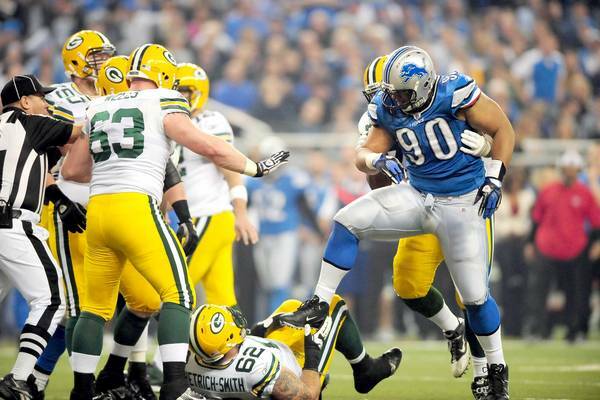 After two Thanksgiving Holidays in a row, one would think that Detroit Lions defensive tackle Ndamukong Suh would have either learned his lesson or is simply out for the additional publicity that Thanksgiving Day NFL games brings to him and the sport. However, learning his lesson is not what Suh was going for when again, for the third consecutive Thanksgiving, the demonstrative Suh did it again! He made a throat-slash gesture towards Buccaneers’ running back Bobby Rainey following a three-yard loss in Detroit’s win over Tampa Bay; a gesture that the NFL banned almost 25 years ago. It wasn’t the $7875 that Suh was fined that is troublesome to most on-lookers, but instead the fact that he pulled similar bafoon-like actions twice before…in this season alone! After a turnover in week one, and after an illegal low-block on Minnesota Vikings center John Sullivan, the league hit the big guy with a ‘big’ fine of $100,000. 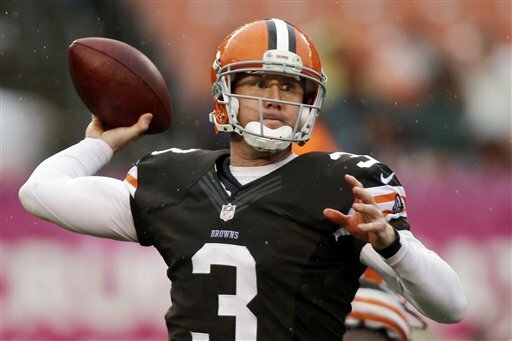 In Cleveland in Week 6, he was fined another $31,500 for roughing passer Brandon Weeden. Getting back to to Suh’s Thanksgiving Day indiscretions, how about last year when the NFL’s “Dirtiest Player” (according to the Sporting News) decided to kick Houston Texans QB Matt Schaub in the groin and thus ended up donating $30,000 more to the NFL. Then of course there was Suh’s most infamous or famous “fine” back in 2011 written about right here on the Furnace. He pushed Green Bay Packers guard Evan Dietrich-Smith’s head into the turf and then thought he would stomp on his arm just for good measure-ON Thanksgiving Day 2011. REDSKINS over the Eagles-Michael Vick is still suffering from the effects of the concussion he sustained last week. He’s been dizzy and “foggy” all week and it wouldn’t be surprising if he sat out for the remainder of the season. Rookie Nick Foles takes over on Sunday vs the ‘Skins. His only NFL experience came last week when he went 22 for 32 for 219 yards with 1 touchdown, 1 interception, and 2 sacks. His biggest obstacle will be the Eagles offensive line who will allow the Redskins to add to their sack totals this week. 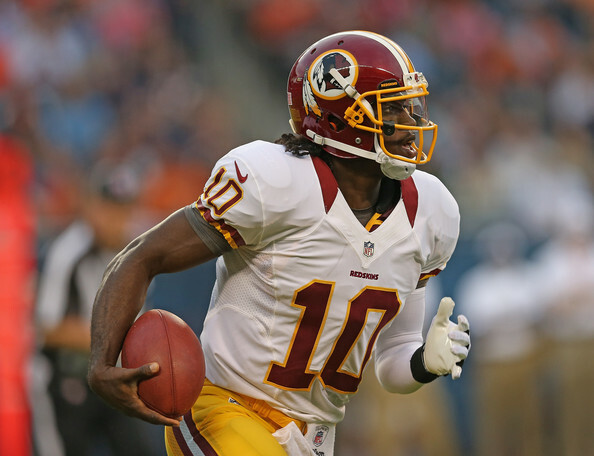 Washington’s offensive line isn’t world class either but in RGIII they have an elusive QB who can run. The Eagles, much like the Jets, are 3-6 and have lost their last five games in a row, placing their season now on life support. Buccaneers over the PANTHERS- In their last five games the Bucs are 4-1. In that span they have averaged a healthy 35.6 points per game and have yet to run into a defensive scheme that can contain them. Josh Freeman, Doug Martin, Vincent Jackson, and Mike williams represent far too much talent to lose to the 2-7 Panthers who have failed to score more than 14 points in 4 of their last 5 games. They have some nice players in Cam Newton, Jonathan Stewart, and Steve Smith but they have been far too inconsistent and won’t put up enough points to stay with the Bucs. They’ll lose this game by double digits. 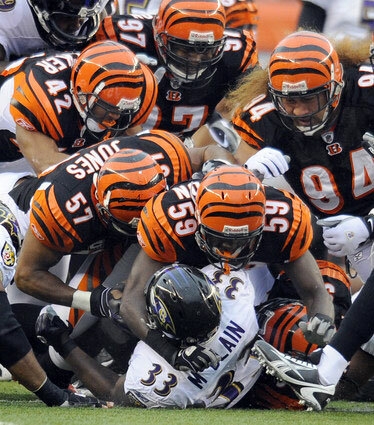 Bengals over the CHIEFS- The Bengals defense which we suggested as a Must Add this week, has the fourth most sacks in the league and are not exactly going up against a pro bowl quarterback this week. They also are fifth in fumble recoveries and we would expect both of these categories to rise this week. This should also be a one-sided affair unless of course, the Bengals are caught in a ‘trap week’ after beating up on the Giants last Sunday. They had lost four in a row prior to last week’s win and we believe that they’ll start a new streak with back-to back games vs the Chiefs and Raiders; teams they should beat. Saints over RAIDERS- These are two teams that are going in completely different directions. The Saints are 4-1 over their last five games while the Raiders are 2-4 over their last six. Oakland will be without their featured and oft injured running back Darren McFadden and Mike Goodson this week although Carson Palmer should have no problem reaching the 300 yard passing plateau for the ninth time as a Raider, against a very porous New Orleans defense ranked last in the league. Drew Brees holds a career 6-0 mark vs the silver and black to go along with 13 touchdowns and 0 interceptions. The Saints need this game because starting with week #12, they will face three very tough opponents in the 49ers, Falcons, and Giants. COWBOYS over the Browns-Dallas has noticed how their divisional rival Giants have been slumping over the past three weeks and need to gain some ground on them before the G-Men turn things around. 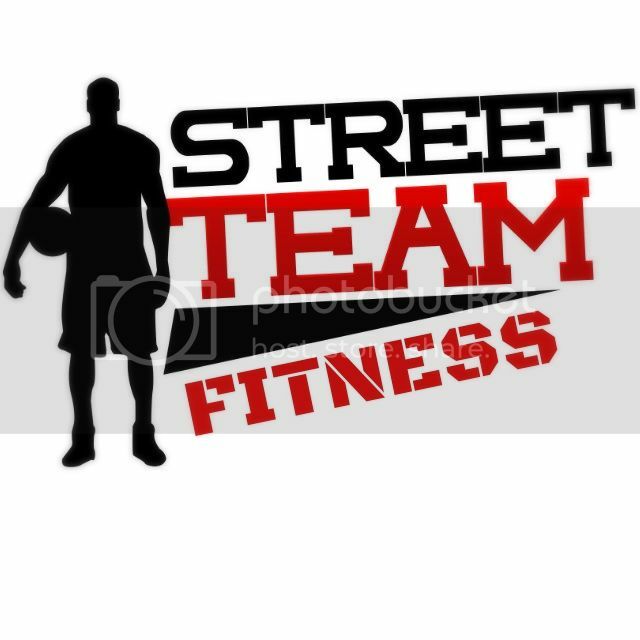 Only 2-3 over their last five games, the ‘Boys lost some tough ones by margins of 2, 5, and 6 points respectively. The 2-7 Browns, at this point of the season, are basically just playing for pride as they have eliminated all possibilities of making it to the post season. RB Trent Richardson has been the highlight of their offense while QB Brandon Weeden has failed to pass for 200 or more yards since October 21st. The ‘Boys will end the day by evening their record to 5-5 and increase their chances of being a Wild Card team at season’s end.